There are reasons behind Vasco being in the relegation zone. 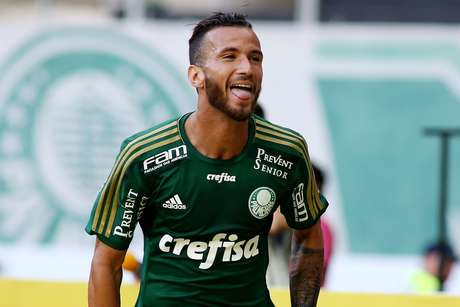 As there are reasons behind Palmeiras having conquered 19 out of the last 21 points. Vasco were pumped after three straight victories – including against Fluminense – and supporters showed up in decent numbers at the São Januário stadium yesterday, expecting another good performance. Not least since Vasco had not lost to Palmeiras at home in seven years. It was a massacre. With three minutes, Leandro Pereira open up the scorecard. Minutes later, the same Leandro hit a header into the goalpost. At 17 minutes Dudu increased the lead and at 34, Victor Ramos left his mark. Nine minutes into the second half, Leandro bagged his second, making it 4-0. Vasco got a consolation goal toward the end of the game in an otherwise 100% alviverde night. Six weeks ago, I thought it a mistake to fire coach Oswaldo de Oliveira. I now recognise I was wrong. Marcelo Oliveira has brought the team to a different level. True, the base was there, Oswaldo did good work initially. Then things stagnated. Palmeiras’ directors faced the eternal dilemma: wait and see or change it up. They opted for the latter, as always in the world of Brazilian football. And I criticised them for it, I and many others. Palmeiras of today score more goals, conceive less goals, cross the ball much less, have less possession but are more objective. A week of training, and you see evolution on the pitch. Another week, and more evolution. Both technical and especially tactical. The team is fast, compact, dedicated – in offence and defence. With a consistent starting line-up, coach Marcelo is changing it up with his substitutions during the games, keeping everybody on their toes. He has a lot of material to draw from: players are coming out of the medical department but few to none are going in. Luck or skill? Possibly a bit of both, but something has changed also in this aspect, players sustaining fewer injuries. A final word of praise to Leandro Pereira, who is experiencing a glorious phase. You know a striker has reached his personal nirvana when everything he does looks simple like abc. That’s where Leandro is right now. Occam’s razor. Natural and deadly effective. May it last a long time. And if it doesn’t, no problem: Barrios, Cristaldo and Alecsandro are there to contribute. Palmeiras have overtaken Grêmio, Fluminense and Sport to occupy third place in the tables, four points behind leaders Atlético Mineiro and two behind Corinthians. The trio all have home games next weekend: Atlético Mineiro take on São Paulo, Corinthians face Vasco and Palmeiras receive Atlético Paranaense.